DRAFT BUDGET – Talks continue in Bucharest on Romania’s 2019 draft budget, as the leaders of the ruling parties are to meet today with representatives of the Municipal Cities’ Association, who are discontent about the way in which money is allotted to local communities. The coalition intends to finalise talks for the budget to be discussed in Friday’s session of the Government, to then be forwarded to Parliament for debate. Meanwhile, the Fitch rating agency has warned that the 2019 budget bill, in the current form which has been launched for public debate, is actually based on optimistic estimates and does not shed light on the uncertainty over the tax on bank assets. The Fitch analysts are sceptical that Romania will observe the budget deficit target of 2.6%, given that the state budget is based on an economic growth rate of 5.5%, higher than the 3.2% initial estimate by the agency. SCHENGEN ACCESSION – The EU Justice and Interior Ministers, three European commissioners and presidents of some EP committees are today coming to Bucharest. They attend an informal meeting which is organised against the backdrop of Romania’s holding the presidency of the Council of the European Union, and interior minister Carmen Dan has said she will use this opportunity to put into the spotlight the issue of Romania’s being accepted in the Schengen Area. Carmen Dan said she will have bilateral talks with the ministers of the countries which have been opposed to Romania’s joining the free movement area. The European Interior ministers will gather on Thursday for talks on the prevention of and fight against terrorism, the Schengen Area, migration and asylum. On Friday, the EU justice ministers will discuss ways to boost judicial cooperation in civil, commercial matters and criminal law, in the EU. Attending the talks will be, among others, the European Commissioner for Migration, Home Affairs and Citizenship Dimitris Avramopoulos, the European Commissioner for Security Union, Julian King and the European Commissioner for Justice, Consumers and Gender Equality Vera Jourova as well as the EU Counter-Terrorism Coordinator, Gilles de Kerchove. BRUSSELS - Romanian PM Viorica Dăncilă is currently on a two day working visit to Brussels for talks with the President of the European Council, Donald Tusk, and the First Vice-President of the European Commission, Frans Timmermans. Against the backdrop of Romania’s holding the rotating presidency of the Council of the EU, Viorica Dancila will attend a conference titled "The Fight against Anti-Semitism: a common approach to better protect Jewish communities in Europe. From politics to action”. The Romanian official will also participate in the plenary session of the European Committee of the Regions, to present the priorities of the Romanian Presidency of the Council of the European Union. Viorica Dăncilă is accompanied in Brussels by the minister delegate for European Affairs, George Ciamba, and the minister for European funds, Rovana Plumb.  ROMANIAN-US RELATIONS– Romanian deputy prime-minister Ana Birchall, on a visit to the US, has reiterated the Romanian Government’s firm commitment to further develop the relation with the US on all dimensions of the Strategic Partnership. According to a communiqué, during her official visit to the US, Ana Birchall has had talks with several US high officials with responsibilities on the relation with Romania. They approached issues of high interest on the bilateral agenda, such as organising the Romania-US Strategic Dialogue, whose last session was held in Bucharest, in June 2018. The officials also tackled opportunities of cooperation with the Romanian side to promote common objectives on the trans-Atlantic agenda, such as Romania’s priorities during its tenure at the helm of the Council of the European Union. STATE OF THE UNION - US President Donald Trump has launched an appeal for unity in his State of the Union address in Congress on Tuesday. "An economic miracle is taking place in the United States and the only thing that can stop it is foolish wars, politics, or ridiculous party investigations," he said. His remarks came as Democrats who now control the House planned a series of probes into the Trump administration, while Special Prosecutor Robert Mueller investigates Russian involvement in the 2016 presidential election, "Euractiv writes. The US President has underlined that his agenda is a national one, in the interest of all Americans. Donald Trump, who has made migration policies a priority of his second year in office, has devoted much of his address to this issue, calling on Congress to defend the US's southern border from illegal migration. MACEDONIA - The NATO member states have today signed in Brussels, the NATO Accession Protocol with Macedonia, an important step towards accepting that Baltic country as the 30th member of the organisation. Macedonia will be allowed to participate from now on, in NATO meetings, as observer, until all allied countries ratify the accession protocol. This step has been taken after the resolution of a protracted dispute between Skopje and Athens on the name of the country. The former Yugoslav republic agreed last year to change its name into "The Republic of North Macedonia", to thus make a clear distinction between the former Yugoslav republic and the old Greek province of Macedonia. The name change will become official once Greece has ratified the accession protocol.